A little over half-way thru the first year as being the official on-court sock of the NBA, brand Stance can already call this partnership a success. Having already done specialty on-court socks for league happenings like Dr. Martin Luther King Jr Day celebration or a specific franchise retiring a player’s jersey number, Stance has already known an epititude for understanding the space. Now we get an official look at what the popular sock brand has for the 2016 NBA All-Star Weekend. 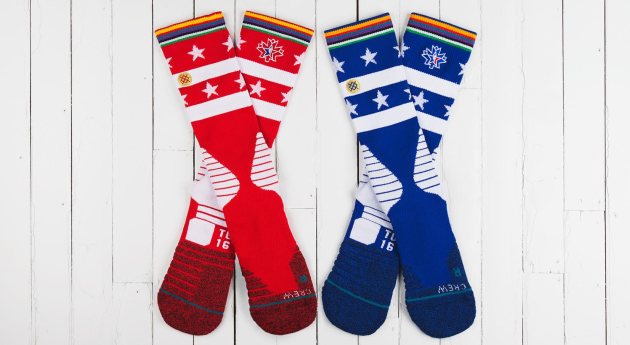 Releasing three different pairs, the standard red colorway for the West and blue for the Eastern Conference teams are present with 2016 All-Star Weekend host city personalizations seen via the Toronto maple leaf symbol around the NBA logo. 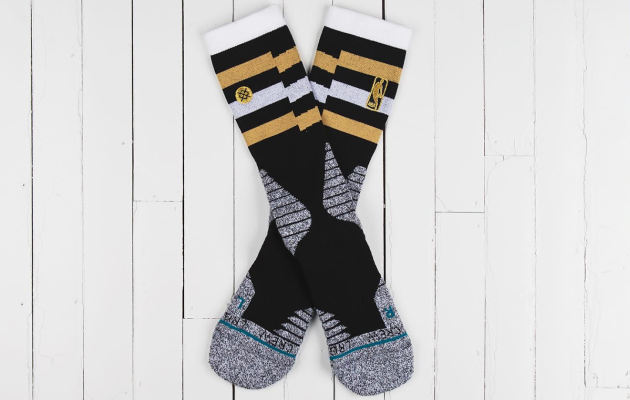 The black-and-gold pair was made especially for the NBA Rising Stars Challenge (which is a game of two teams made up from current NBA rookies and sophmores). I have a feeling the Stance ‘Rising Stars Game’ pair will be the most popular thanks to the very OVO-friendly colorway. Peace to the 6god. Bringing an understanding of a niche market & established following, Stance has made one of the biggest moves in sportswear by partnering with the NBA. The ‘NBA Rising Stars Game’, ‘NBA ASG West’, and ‘NBA ASG East’ Stance NBA On-Court Socks are available NOW on the Stance webstore for $28 each.